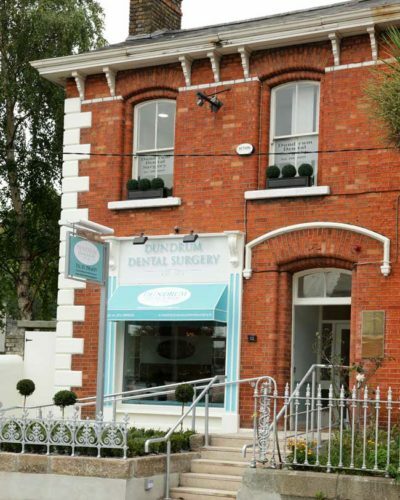 We are situated on the Main Street of Dundrum Village. We are 12 Main St, directly opposite Lidl, and situated between AIB and Carroll’s opticians. Most of our patients find it most convenient to park in the Dundrum Village Centre Carpark directly opposite our practice. This carpark is €2.00 per hour or part thereof, however several of the shops in the Village Centre including Lidl will provide one hour of free parking on any purchase. (Please note your time with us may be longer than one hour depending on your needs and the practice schedule). Exit at Dundrum Luas stop. Descend the steps to reach Dundrum Main Street at Bank of Ireland. We are on the same side of the street as Bank of Ireland. Walk along this side of the Main Street, past AIB Bank. We are directly opposite Lidl at the pedestrian crossing at No. 12 Main Street, with a turquoise coloured awning. M50: Leave the M50 at Junction 13 and follow the sign posts to Dundrum. At the cross roads with the traffic lights turn left onto Main Street. Continue straight at the traffic lights. We are directly opposite Lidl at the pedestrian crossing at No. 12 Main Street, with a turquoise coloured awning.